Takuro Someya Contemporary Art is pleased to announce our second exhibition titled Foresights and Flow ‪on January 26. The works by four artists—Hideki Makiguchi, Ryoichi Kurokawa, Rafaël Rozendaal, and Motomasa Suzuki—will be on display in our gallery space “TSCA” on TERRADA Art Complex’s 3F. Reflecting both the future of contemporary art and flow of creative influences, we hope this collection of cutting-edge artists will give viewers foresight into their diverse genres drawing inspiration from all facets of culture in the 21st century and beyond. Makiguchi is a Tokyo-based artist whose photographs exude a powerful sense of existence despite the absence of people in their respective environments. After graduating from Tama Art University in 2009, he obtained his master’s degree in Intermedia Art from the Tokyo University of the Arts in 2011. Makiguchi’s solo exhibitions to date are Back is always the void at VACANT (2010) and Quiet, Unlimited, Close to Nothing, Invisible Place at Tokyo’s LIQUIDROOM (2012). In 2015, Makiguchi participated in TSCA’s group show In the Beginning, Silence was Always Silence with Elena Tutatchikova. That same year, he also partook in IMA gallery’s group exhibition STEP OUT! New Japanese Photographers. Through the aesthetic of “silence,” viewers of Makiguchi’s works are reminded of the stillness of photography and how photographs act as a miniature monument—revealing something initially invisible to the eye in his seemingly ordinary landscapes. Coined a pioneer in the net art scene, Rozendaal is a Dutch-Brazilian artist who uses the internet as both his studio and canvas. While he initially gained global prominence from his websites, Rozendaal has creatively utilized the internet—“the universal library”—to transcend these digital works into the physical world, be it his lenticular paintings, tapestries, and web installations. In 2018, Rozendaal held his first solo museum exhibition GENEROSITY Towada Art Center in Aomori Prefecture, Japan. Currently, his “Abstract Browsing” tapestry series—which has been acquired by the Whitney collection—is included in Whitney Museum of American Art Programmed: Rules, Codes and Choreographies in Art, 1965-2018 until April 14, 2019. His latest exhibition Don’t do too much at Postmasters Gallery will be held until February 23, 2019. 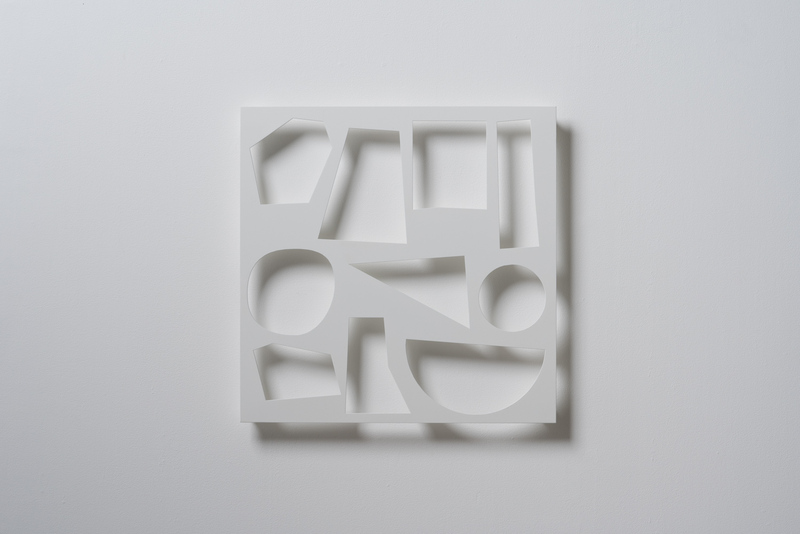 There, Rozendaal is showcasing recent works from his Shadow Objects series. 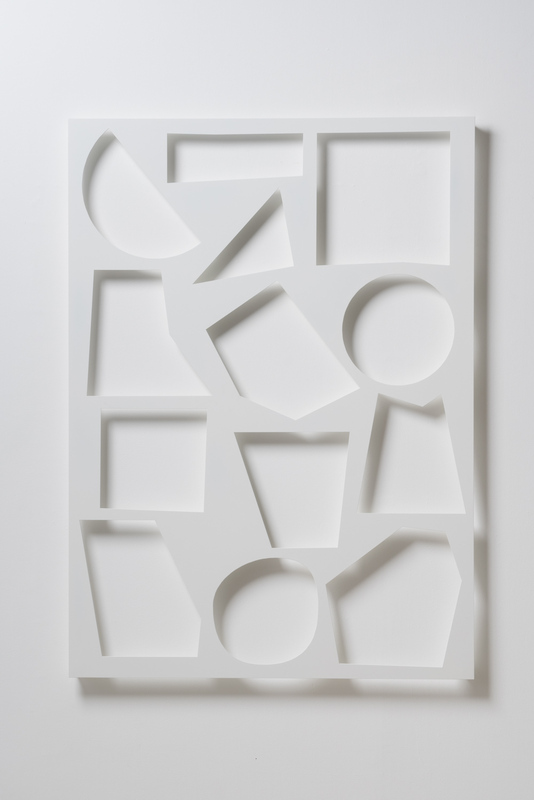 The varying compositions—which, in fact, are specific shapes that appear in Rafaël’s web works—are calculated and cut upon white aluminum plates via algorithm. Capturing the use of light, the contemplative silhouettes cast upon the wall simultaneously blur the boundary between the illusion and immateriality of form that is ever-present in the digital realm. The Tokyo-based sculptor possesses a unique sense of scale that is exhibited into his wooden sculptures, which have attracted much attention in recent years. Suzuki is a graduate from Musashino Art University’s Department of Sculpture (2004). In 2017, Suzuki was a recipient of the VOCA (Vision of Contemporary Art) Encouragement award for his work Ghost #4. That same year, his solo exhibition MOD—supervised by artistic director Toshio Shimizu—was held at LIXIL Gallery. In 2018, Suzuki participated in Aomori Contemporary Art Centre (ACAC)’s artist-in-residence show Dynamic Garden in Full Motion. At TSCA, Suzuki’s solo exhibition wall, roof, window was held in 2016. Kurokawa is a Berlin-based artist prominent for his audiovisual installations that fuse sonic and visual elements into a captivating synthesis. In 2018, Kurokawa—a recipient of the prestigious Golden Nica at Are Electronica—held his first solo exhibition objectum in Japan at TSCA, where he presented three work series that explore the synergy of nature in genre-transcending perspectives. From February 8th to the 24th, Kurokawa will also be exhibiting his audiovisual installation ad/ab Atom at the TOP Museum Yebisu International Festival for Art & Alternative Visions 2019. Open: Tue, Wed, Thu + Saturday 11:00 a.m. – 6:00 p.m.｜Friday 11:00 a.m. – 8:00 p.m.